I instantly fell in love with the designs from Bittersweets when I saw them on Kenzie Kate. Delicate twigs embedded with diamonds- love, love, love! 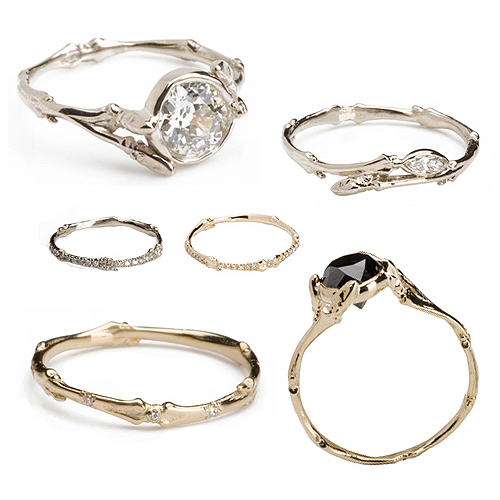 I can’t stop thinking about the bottom right 14K gold twig ring holding a gorgeous black diamond, and the eternity bands in the middle.